Popular lifestyle and interior design magazine selects its favourite products of the month, with the new Príncipe de Viana Garnacha Blanca among them. Cataluña’s Top 1 gatronomic magazine selects the products of the month, with the new Príncipe de Viana Garnacha Blanca among them. 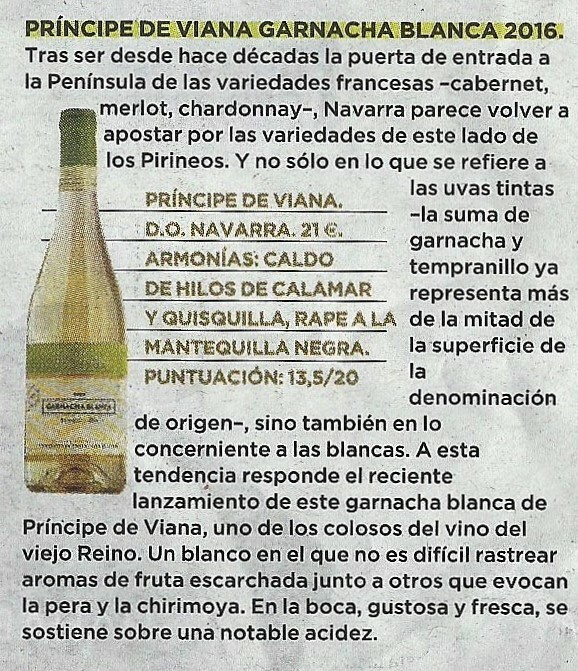 Important national newspaper El Mundo highlights the launch of Príncipe de Viana’s new 100% White Grenache wine. 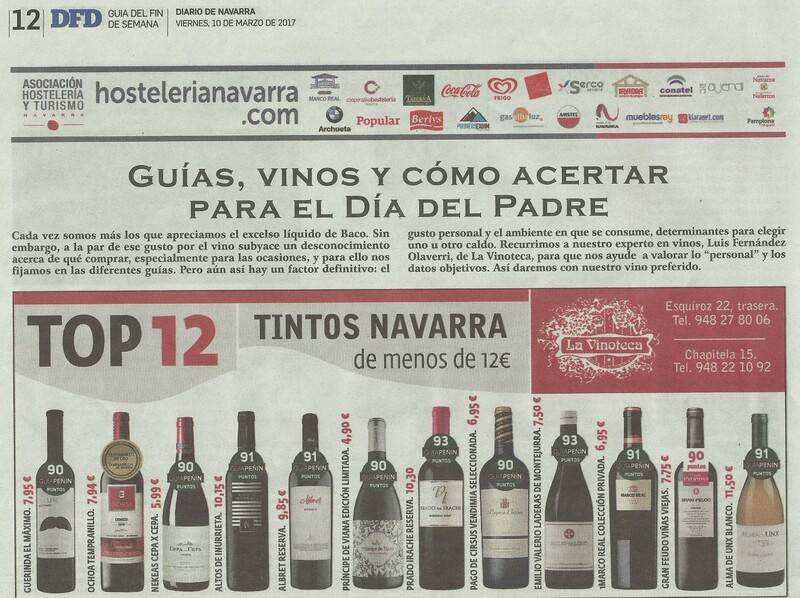 Regional newspaper chooses the Top 12 red wines from Navarra, Príncipe de Viana Edición Limitada. 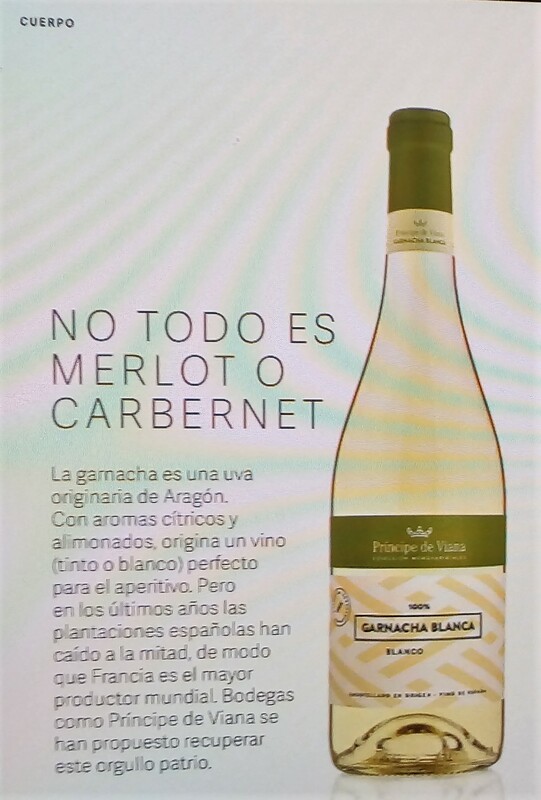 Wine magazine informs about the launch of the new Príncipe de Viana Garnacha Blanca. 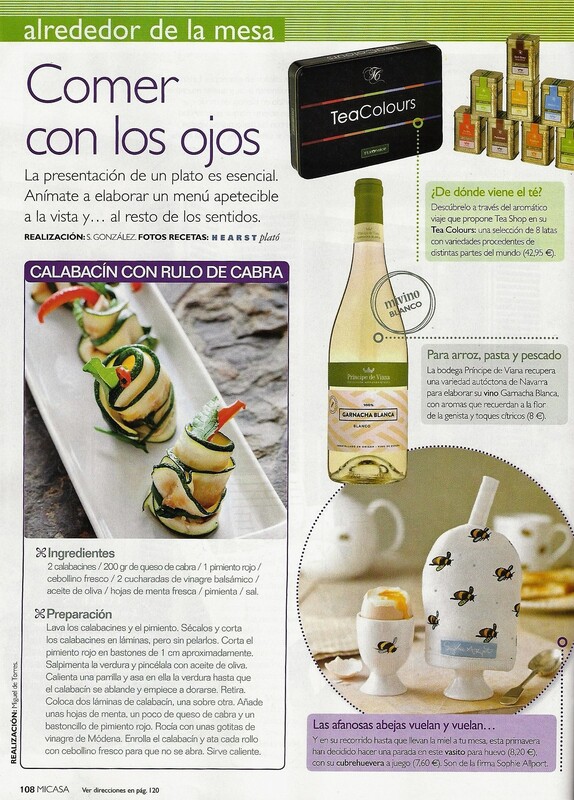 Life style & gourmet magazine chooses Príncipe de Viana Garnacha Blanca to pair one of its star recipes. 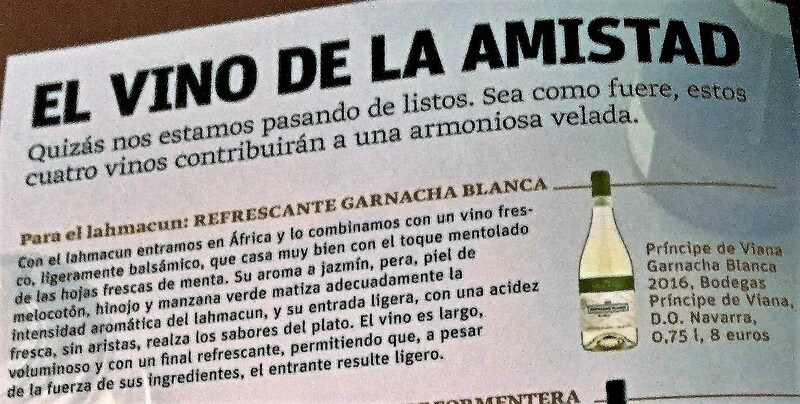 Lifestyle & Hedonism magazine recommends the new Príncipe de Viana Garnacha Blanca wine. 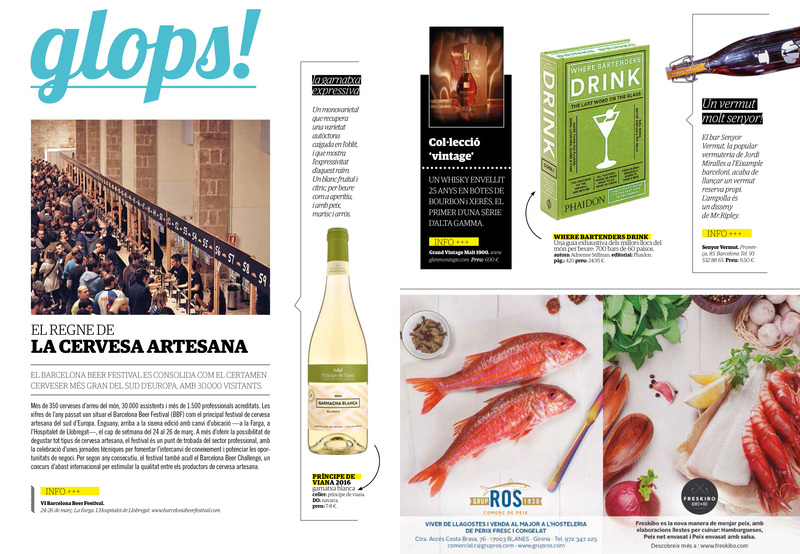 Popular cooking magazine chooses the four best fresh wines for the upcoming Spring. 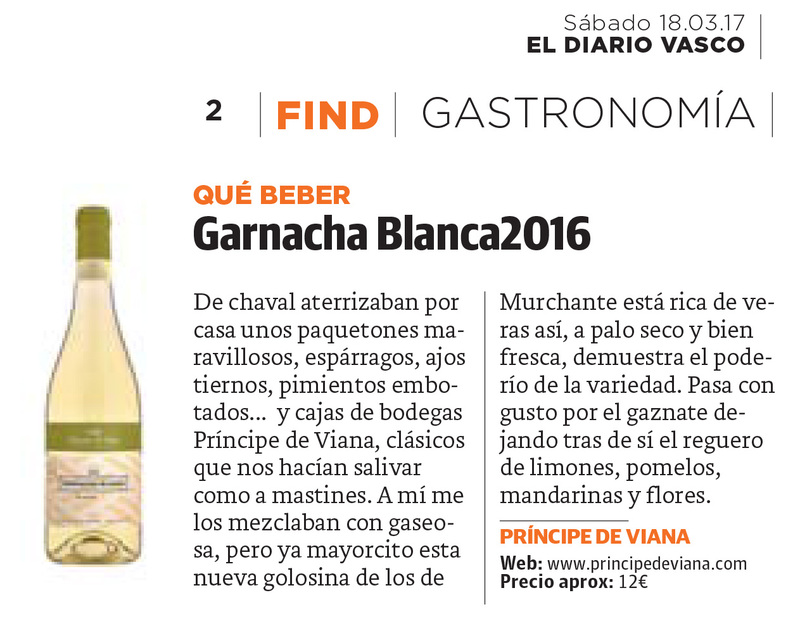 TV Chef recommends in newspaper Diario Vasco the new Príncipe de Viana Garnacha Blanca wine. 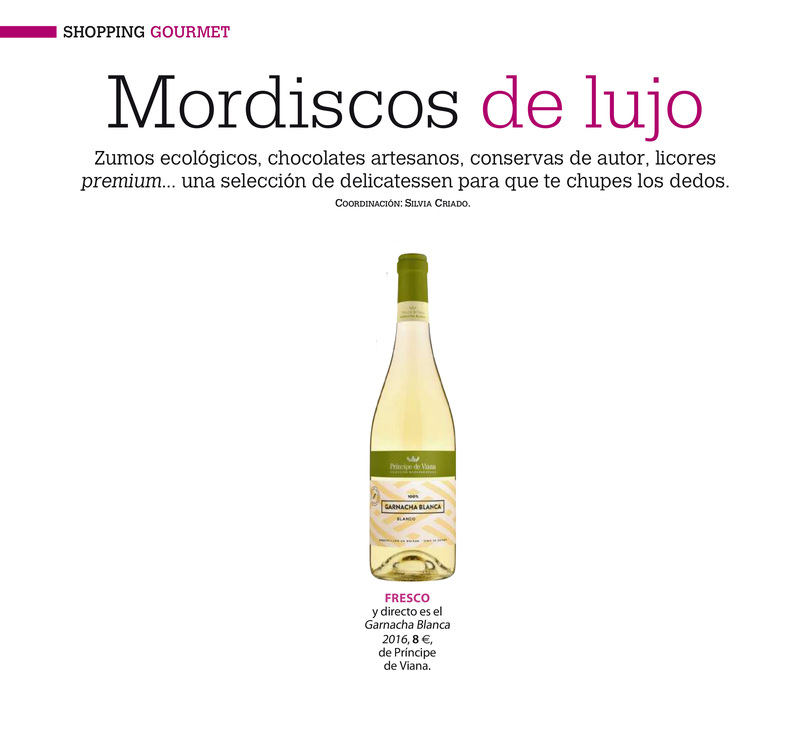 Interior design & lifestyle magazine recommends the new Príncipe de Viana Garnacha Blanca wine. 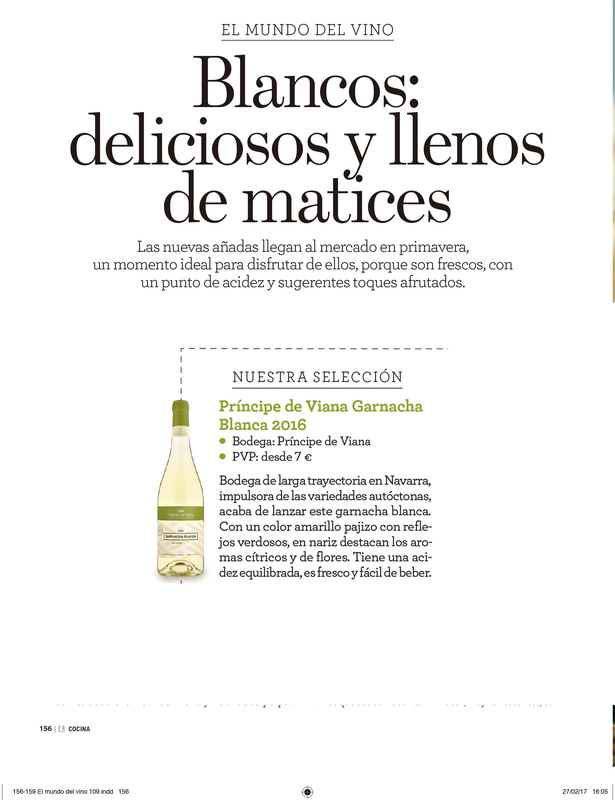 Cooking magazine recommends the new Príncipe de Viana Garnacha Blanca wine. 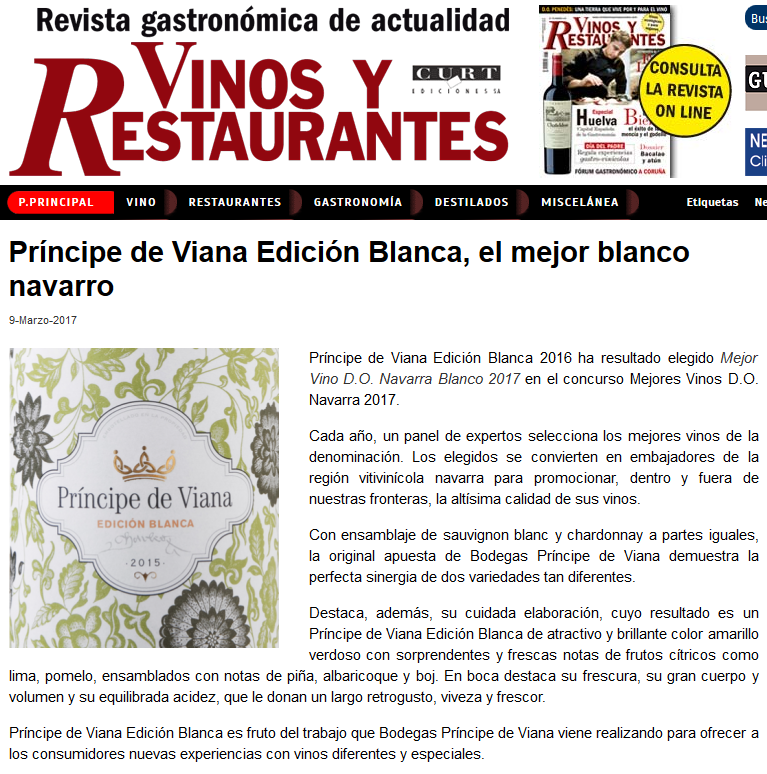 Gastro & Gourmet magazine publishes the election of Príncipe de Viana Edición Blanca as Navarra’s Best White Wine. 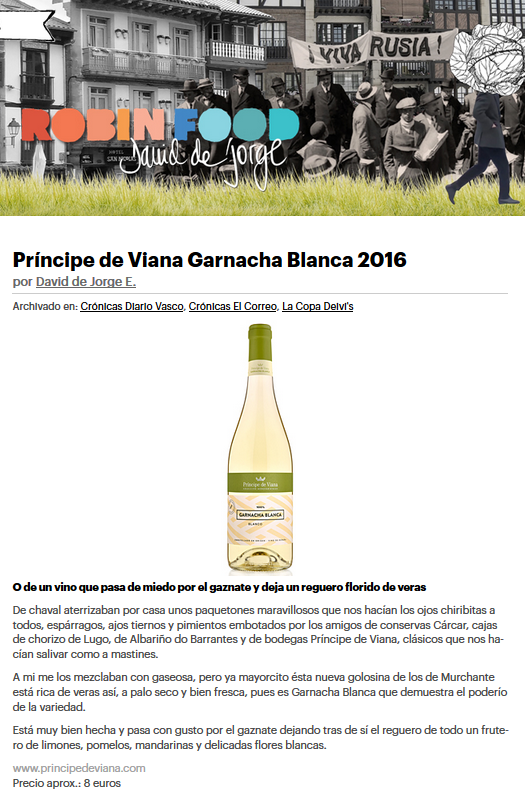 TV Chef recommends Príncipe de Viana Garnacha Blanca in his popular blog. 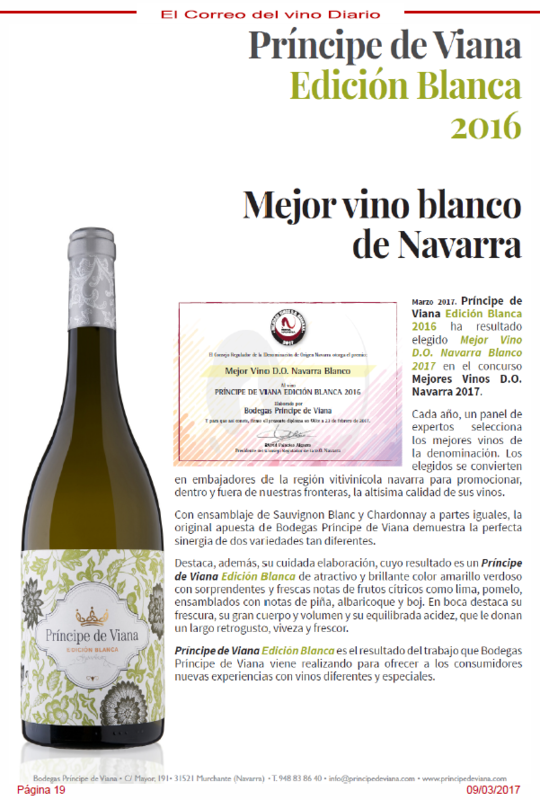 Specialized magazine features the election of Príncipe de Viana Edición Blanca as Navarra’s Best White Wine. 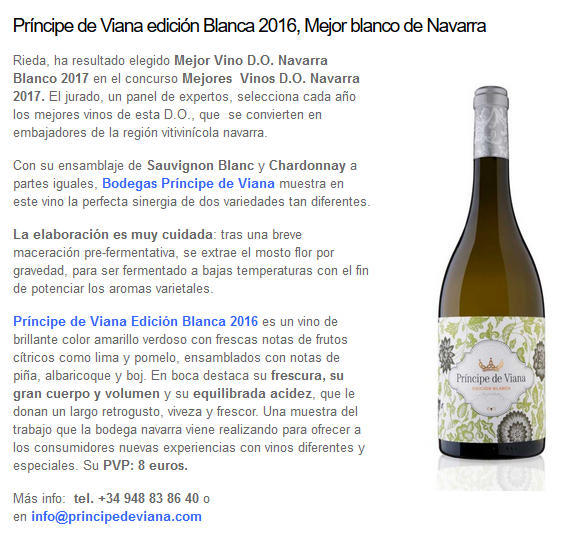 Magazine specialized on the on-premise sector highlights Spain’s three most interesting white wines, with Príncipe de Viana Edición Blanca.